Bog Watcher Martin DeGrazia spent part of Thanksgiving with one of the bog otters. 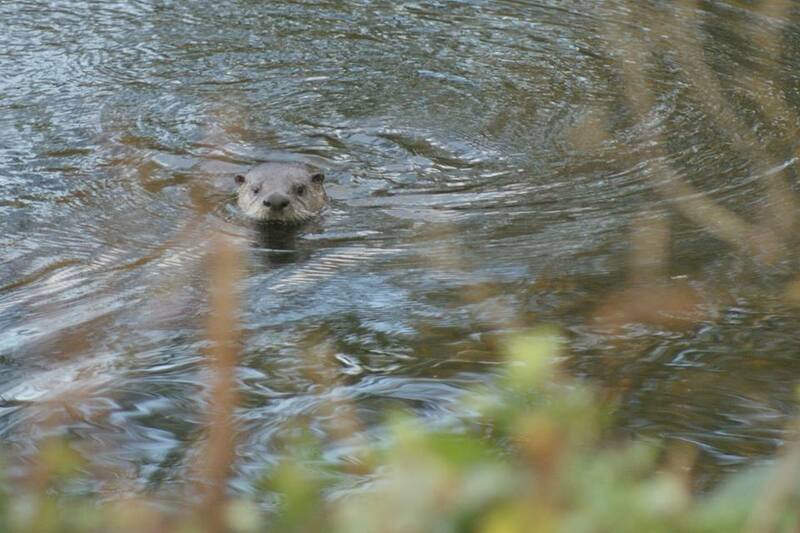 The otters are so used to Martin that they swim toward him, instead of away. He had time for a brief photo session. Freshwater river otters live in every significant body of water in the area - Ronald Bog, Twin Ponds, Echo Lake, McAleer Creek. They have been known to travel over dry land and have been seen in Kruckeberg Gardens which has no body of water nearby. They are normally elusive, hunt in the dawn hours, and build their burrows with an underwater entrance.